This event is being held in conjunction with the Hammer's Red Book exhibition. On May 1st, 2010, artSpa and Machine Project will host an overnight Dream-In at the Hammer Museum. Dreamers are invited to camp out in the Hammer courtyard and collect any dreams that occur during their stay. The evening will feature experimental dreaming workshops, concerts, and bedtime stories, followed by a waking concert in the morning, all facilitated by a dreamy batch of local artist-psychonauts. 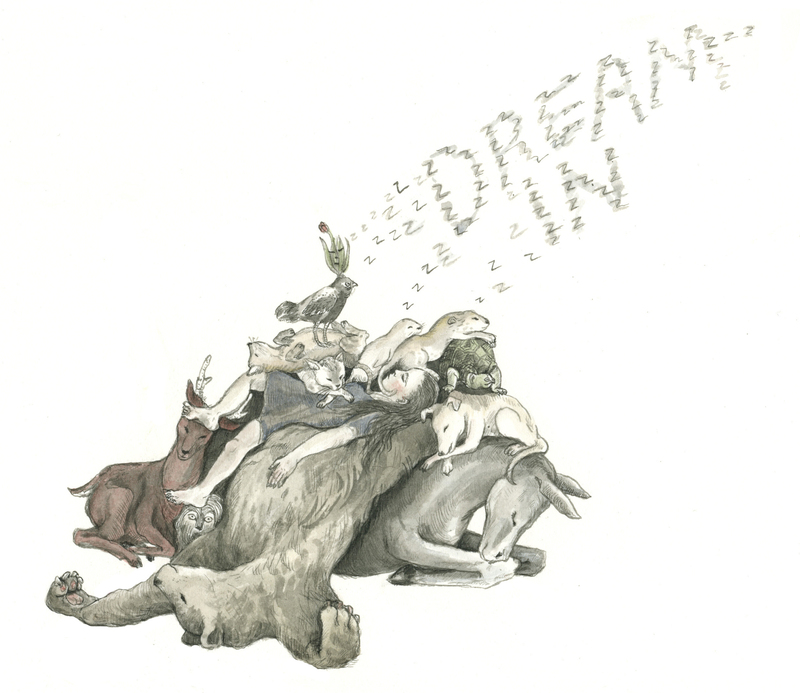 The following day museum patrons may encounter dream reenactments, workshops, and napping music during their visit. THE DREAM-IN IS SOLD OUT! Please join us on Sunday, May 2nd for an afternoon of dream-in related workshops and events. Full schedule to be announced soon! A non-refundable $25 campsite reservation fee is required - each campsite sleeps 1 or 2 people. Due to demand for this event, we request one campsite reservation only per person. We encourage you to bring a (close) friend to share your campsite. This event runs RAIN OR SHINE! Participants should plan to attend the entire Dream-In, from 7 PM on Saturday May 1st until 9 AM on Sunday May 2nd. No late entry or early departure will be permitted. Check-in for registered campers begins Saturday May 1st, 7-8 PM. Packing up begins Sunday May 2nd, 8-9 AM. - Participants should pack food and sleeping bags as if they were really camping, as none of these amenities will be provided and guests must commit to staying at the Hammer until morning. Toilets, sinks and hot water will be available to guests. Sorry: no tents, generators, amplified music, fire, alcohol or pets allowed. Event is open to guests 18 and over only. - In exchange for their overnight fortitude and Sunday morning dream-recollections, Dream-In campers will receive complimentary admission to the Hammer Museum for Sunday May 2nd, which reopens to the public at 11am. - More information on the event schedule and what to bring will be provided after you register. - Experimental dreaming workshops with Claire Cronin, Ecstatic Energy Consultants Inc., Katie Bachler, Krystal Krunch, Laura Steenberge, and Marc Herbst. .... plus, watch out for sporadic dream reenactments on May 2nd by Gawdafful Theater.